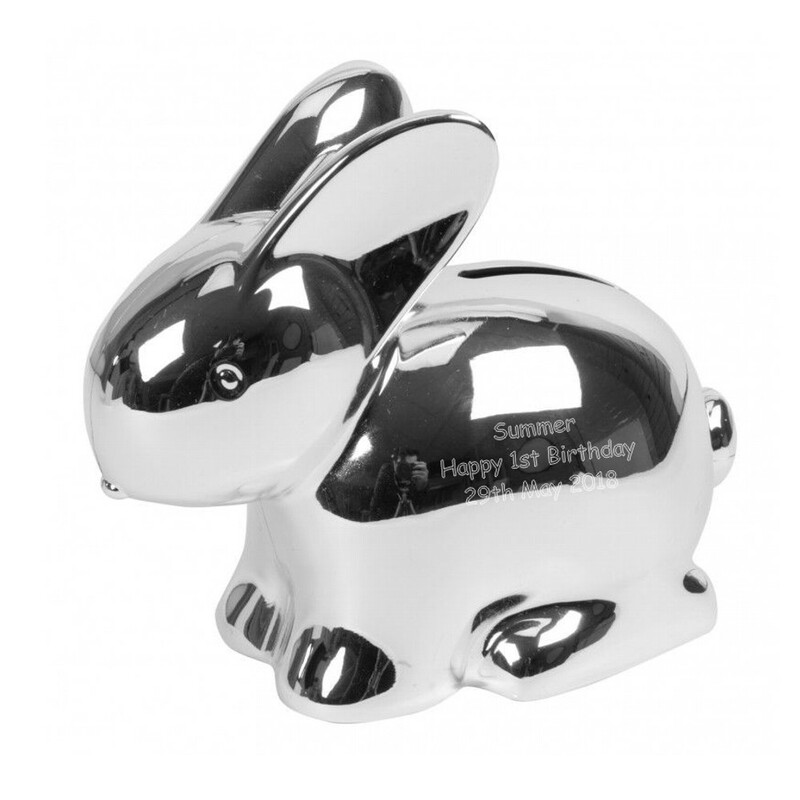 Personalised Engraved Silver Plated Bunny Rabbit Money Box. This beautiful silver plated money box measures 11 cm x 10 cm x 7 cm and is engraved on the side of the money box. Please keep your text to a maximum of 3 lines i.e. Name, short message, date.